Here are the Bobby Darin songs from our online karaoke song library that are available to sing and record. Free songs are flagged with a blue label in the search results below. 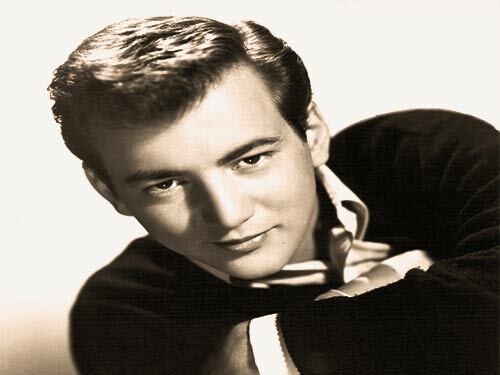 Walden Robert Cassotto, better known as Bobby Darin was destined for a short life, but his musical career eclipsed the tragedy of his life and made him shine bright. Darin was raised by his grandparents always thinking them to be his biological mother and father. It affected him profoundly when he found out they were actually his grandparents and his "sister" was his mother. Bouts with childhood rheumatic fever weakened him, and he met his early demise following heart surgery when he was only 37 years old. His main success was as a song writer, but with hits like "Dream Lover" and "Mack the Knife", along with a successful television show, Darin was not limited to life behind-the-scenes.